BlackBerry’s new phone, the BlackBerry Z10, is already available in Canada and a few other countries. 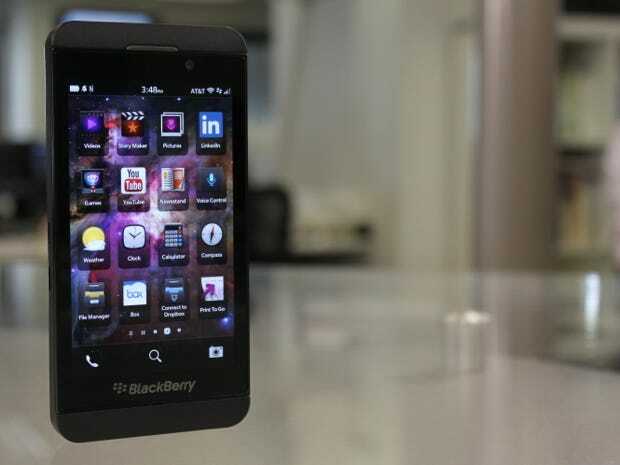 But eager U.S. BlackBerry fans still have to wait for their new Z10 until at least mid-March. Because U.S. carriers are still “testing” the new BlackBerry 10 operating system. Let’s be clear. “Testing” is just industry-speak for carriers loading up phones with branded apps and services you’ll probably never use. It happens on Android phones all the time too. The latest evidence of this comes from a few leaked photos on CrackBerry that show the Verizon version of the Z10. The phone has the carrier’s branding on the front of the device, plus at least one Verizon-branded app. A lot of techie folks call that “crapware,” or apps on your phone that you’ll never use. So that’s the price U.S. smartphone owners have to pay when getting a hot new device: longer wait times because carriers have to add apps and branding that you likely don’t care about. And trust us, Verizon isn’t alone here. You can expect to see similar apps when the Z10 launches on AT&T, Sprint, and T-Mobile too.